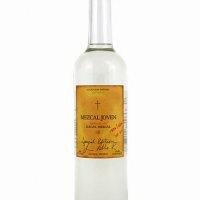 Destiladora Arandas, S.A. De C.V.
Sol Azul Silver is made from 100% Weber Blue Agave. Sol Azul Silver has the smooth clear taste you get when you use only the best blue agave and put in the hands of knowledgeable producers. We demand only the best and result is the best. 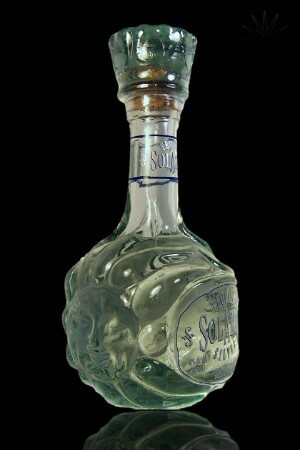 If you want the original taste of the pure blue agave you will demand Sol Azul Silver in our own, hand made, premium crystal bottle. 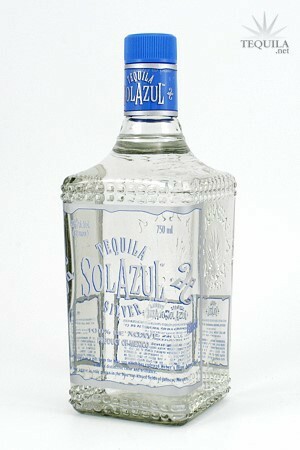 A full bodied, clear Silver Tequila, with a good - strong nose full of agave, with subtle floral and tobacco hints. A smooth mouthfull of cooked agave on initial taste, turning sweet and fruity, and finishing quick leaving a citrus aftertaste and mild spice. A wonderful product for the price. Tasted on 10/08/08 out of snifter. Purchased bottle for $16.99! Yes, it is budget week, so I ventured into budget territory. I've always read good things about Sol Azul, so I thought it would be worth the chance. Well, it was. I wasn't blown away, yet for the price, you just can't lose. A strong 'B' grade tequila in my book. Aroma: A very present nose of agave and floral. Initial Taste: A thin mouth feel, it was sweet with a slight bitterness. Body: A very nice and strong agave body with strong citrus hints. Finish: Sadly, a short semi heated finish, but with a long citrus. All in all, something I'd purchase again, regardless of budget week!